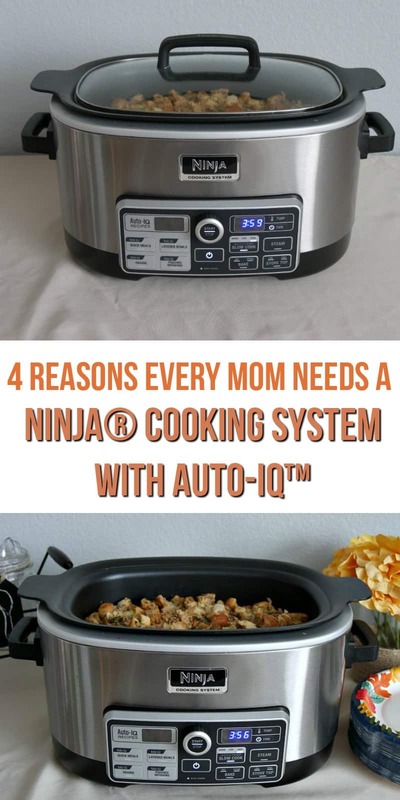 Every busy mom needs a Ninja® Cooking System with Auto-IQ™ ! Bake, cook, steam and slow cook in the is all in one kitchen appliance that makes cooking easier and quicker. 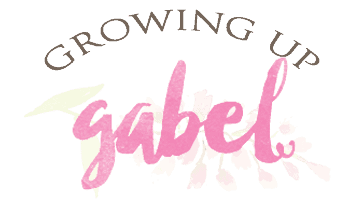 If you have been around Growing Up Gabel for a while, then you know we love our slow cookers. I own 4 slow cookers in 4 different sizes. Last year we ran a 30 Day Slow Cooking Challenge of 30 days of slow cooker recipes. But as much as I love my slow cookers, they still only have one purpose in the kitchen – slow cooking on high or low. They are not very versatile. But what if your favorite slow cooker could do more? Like bake, steam, and stove top cooking in addition to slow cooking. Well, then you'd have the Ninja® Cooking System with Auto-iQ™, which every busy mom needs! Auto-IQ Means No Fuss Meals: Honestly, when I first received the Ninja Cooking System with Auto-iQ, I wasn't really quite sure what the big deal was. It looks like a slow cooker or a roaster and I already have both of those. But the Ninja Cooking System with Auto-iQ comes with 80 pre-programmed recipes that are available in the included cook book. Just select a recipe, add the ingredients and the Ninja Cooking System with Auto-iQ does the rest. We made the New England Clam Chowder which is a two step Auto-iQ layered bowl. The chowder was two step process of sauteing right in the cooker on the stove top option and then switching to the Auto-iQ setting and letting the Ninja Cooking System with Auto-iQ do the rest. It was also the best clam chowder I've ever made. Use my code CAMILLE15 to receive 15% off your very own Ninja® Cooking System with Auto-iQ™ ! Good from now until Dec. 31! Easy Baking Option: While the Auto-iQ recipes in the cook book are great, you need to be able to adapt family favorites for the Ninja Cooking System with Auto-iQ. So I decided to adapt a baked spaghetti recipe. Instead of cooking it in a pot and then baking it in the oven, I cooked everything (except the pasta) right in the Ninja and then used the bake option for the final baking step. It was delicious! You can also dry bake dishes like roasts, breads, and cakes. The Ninja Cooking System with Auto-iQ has a controllable temperature range from 250°–425°F. I was able to control the baked the spaghetti to cook at 350 degrees, which I can't do in a traditional slow cooker. 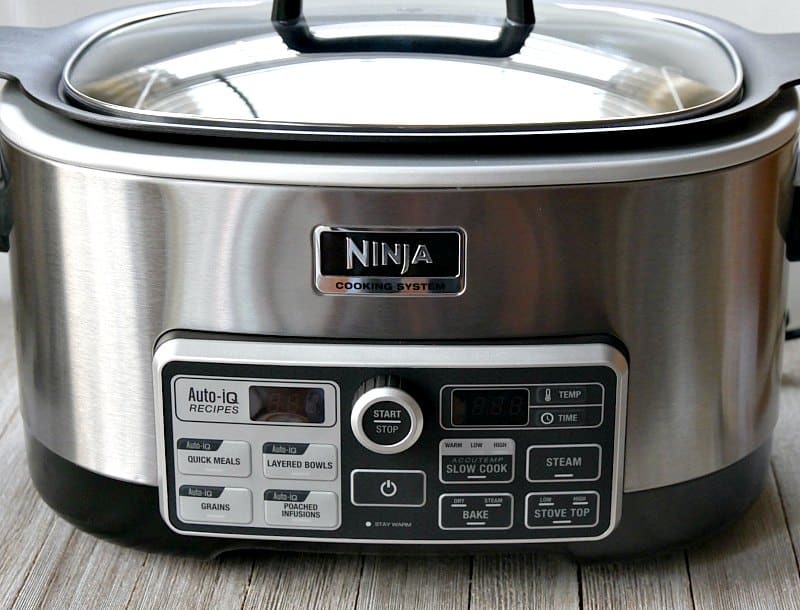 Amazing Slow Cooker: The final trial for the Ninja Cooking System with Auto-iQ to earn a permanent place in every mom's kitchen cupboard is the slow cooker option. 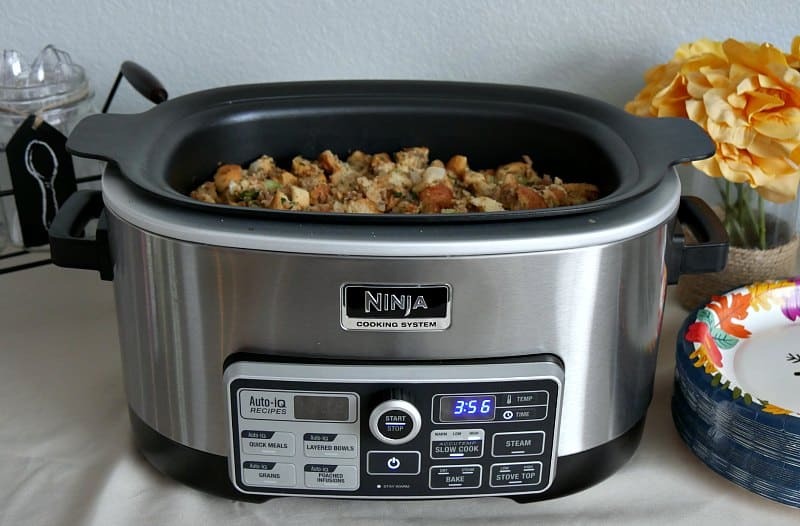 Unlike a traditional slow cooker’s that only heats from one source – the side – the Ninja Cooking System with Auto-iQ has Tripe Fusion Heat® which provides cooking heat on both the bottom and side and includes steam heat for easy one-pot meals. 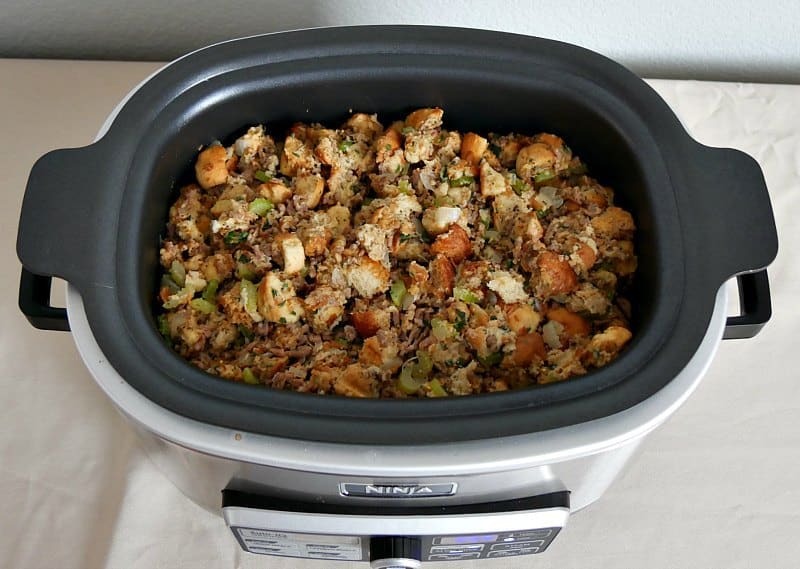 I made slow cooker stuffing in the Ninja Cooking System with Auto-iQ on Thanksgiving day. I mixed up the stuffing at home and brought the Ninja Cooking System with Auto-iQ to my sister's house to cook. Three hours later we had perfectly cooked stuffing. If I was short on time, I could also have used the bake option for 45 minutes. Great Versatility Means More To Make With Less: The versatility of the Ninja Cooking System with Auto-iQ mulitcooker being able to choose between bake, stove top and slow cook and more earns this cooking system a place in every busy mom's kitchen! This machine can take the place of a slow cooker, roaster, stove top and more. Enter to win 1 of Twenty (20) Ninja® Cooking Systems with Auto-iQ™! 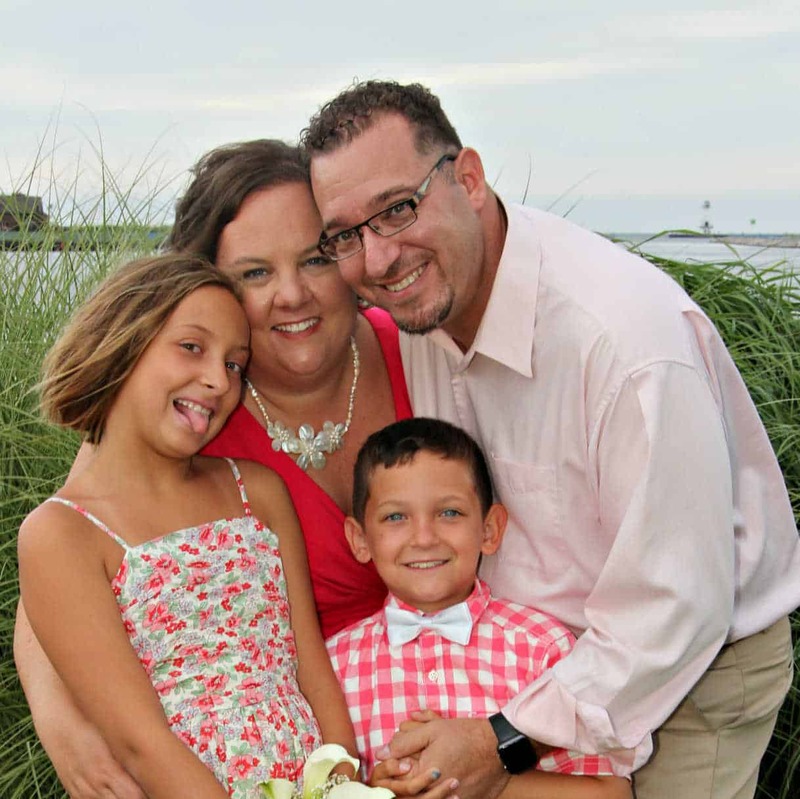 Looks like a “dinner game changer” for our family!! I’ve heard awesome things about Ninja products! Soooo this looks awesome and I need it in my kitchen! Love how big a pot it is. Programmable is a must have these days! I want one! This is so cool! I LOVE Ninja appliances! I have one of their blenders and it’s amazing. That is soooo cool. I need one in my life.